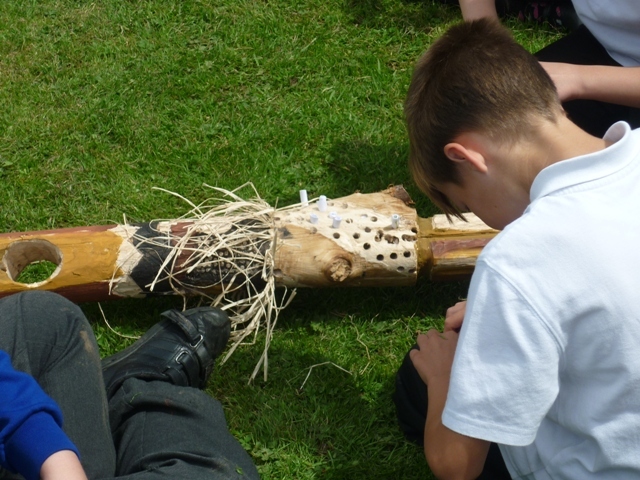 Chris Holland, the Didgeridoo Man, who came to school earlier in the year returned to us for three days to work with our Y6 pupils on a legacy piece of art. Each year, we ask an artist to work with Y6 pupils so that they can leave a work of art behind when they move on to secondary school. 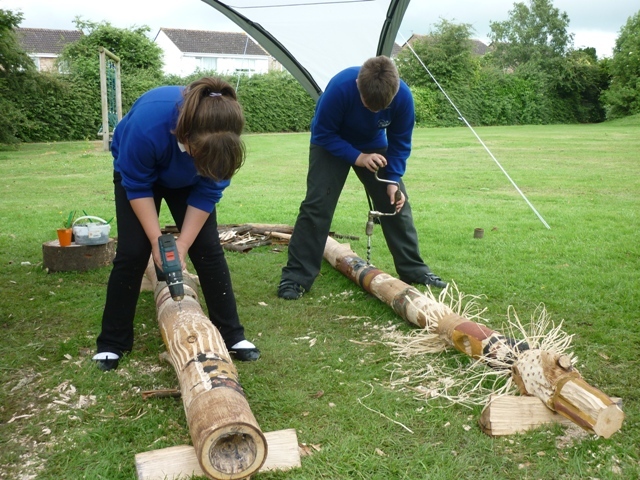 To celebrate Australia Year, Chris returned to work on ancestor poles. Here are a few photos of the work in progress. Expect further information in next week’s posts. 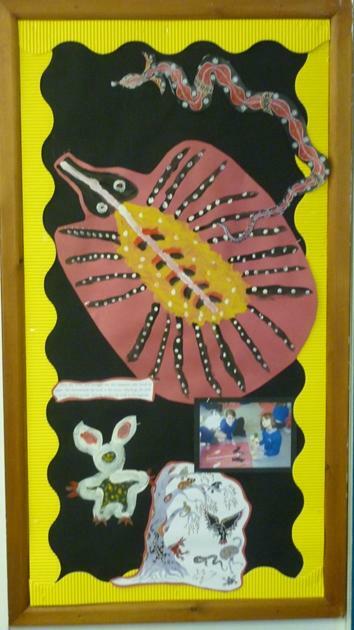 The artwork completed with Francis Firebrace when he visited our school is now on display in our library corridor! This afternoon Francis worked with Nightingale and Ravel classes. Here are some pictures. Here are some of the works of art produced this morning. Some pieces may be unfinished. 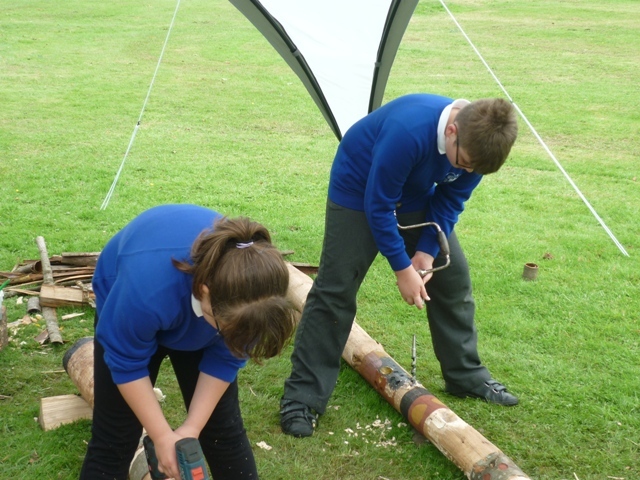 Here are some further photos of the KS2 pupils at work.